The “North” configuration of the Kyoto Ring uses the track’s infield and the second turn of the oval, with the custom pit lane located between oval turn 3 and the transition to the infield. After trhee seasons with multi-class competition, only GT2 cars were allowed on track for the season opener. In a chaotic qualifying session the #01 car of LLM showed their potential to defend the title early on, distancing the TehoGP by 0.5 seconds. Due to a loophole in the rules, many teams were on track with multiple cars as drivers also tried to improve starting positions for their teams. In the race LLM were just as dominant as the qualifying session foreshadowed, lapping all their competitors to win the race unchallenged. So was also TehoGP’s second place. The bronze spot on the podium however saw mulltiple contenders throughout the race. 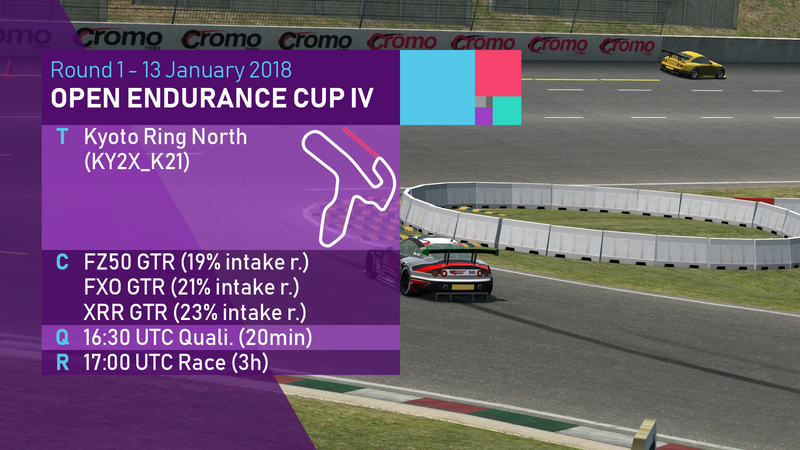 After an unlucky start colliding with HoR-GRT and a trip into the gravel as a result, Fast And Crazy SimSports (FnC) fell back to 9th position early on. Master Race car (MRc) used its chance and stayed in 3rd until the #25 car of LLM was able to overtake them half way through the race. MRc would reclaim 3rd after the final pitstops now with FnC and later also LLM’s #25 closely following them. 17 minutes before the end of the race FnC would eventually pass them and not even two minutes later so would LLM, too. The group would stay relatively close together until the end without further changes in their running order. 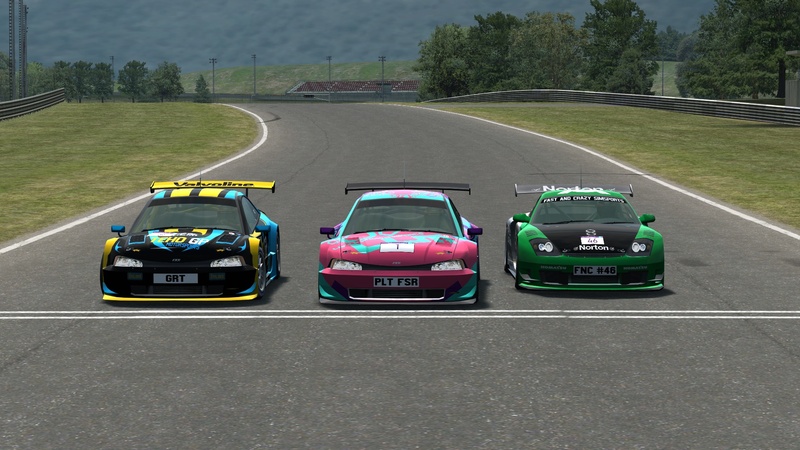 Behind them a battle for sixth would be decided on the final lap when HoR-GRT overtook KtkR around the outside half way through the lap. The next round would take place in the narrow streets of South City.